Any type of energy can be a serious hazard, especially if it is released unexpectedly while someone is servicing or maintaining equipment. Energy can be from various sources; electrical, hydraulic, pneumatic or mechanical. 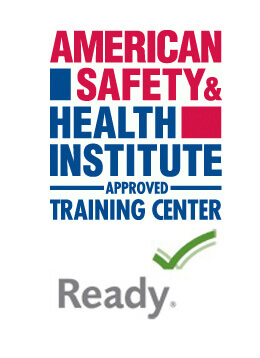 This training is designed to meet OSHA requirements 29 CFR 1910.147 and to help the employees understand the importance of energy control and how to apply energy isolation through Lockout/Tagout or LOTO. 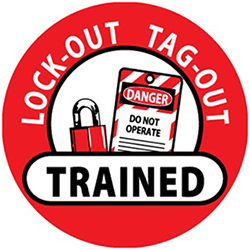 This class instructs employees in general work practices related to Lockout/Tagout and specific instruction regarding equipment in your facility. Meets 29 CFR 1910.147 guidelines. Each authorized employee shall receive training in the recognition of applicable hazardous energy sources, the type and magnitude of the energy available in the workplace, and the methods and means necessary for energy isolation and control. Each affected employee shall be instructed in the purpose and use of the energy control procedure. All other employees whose work operations are or may be in an area where energy control procedures may be utilized, shall be instructed about the procedure, and about the prohibition relating to attempts to restart or reenergize machines or equipment which are locked out or tagged out. Retraining shall be provided for all authorized and affected employees whenever there is a change in their job assignments, a change in machines, equipment or processes that present a new hazard, or when there is a change in the energy control procedures. Additional retraining shall also be conducted whenever a periodic inspection under paragraph (c)(6) of this section reveals, or whenever the employer has reason to believe that there are deviations from or inadequacies in the employee’s knowledge or use of the energy control procedures. The retraining shall reestablish employee proficiency and introduce new or revised control methods and procedures, as necessary.